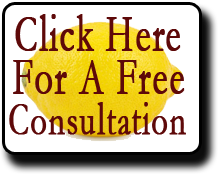 The next time you need a California Lemon Law attorney, you can get in touch with experienced lawyer David J Farrell. At the Law Offices of David J Farrell, we have handled thousands of CA Lemon Law cases, recovering millions of dollars for our valued clients. No matter what type of Lemon Law case you have for us, you can expect unparalleled service and a commitment to your satisfaction. From used cars to malfunctioning products, we can help you pursue your Lemon Law claim. Our offices are located at 25909 Pala, Suite 310, Mission Viejo, CA 92691-2778. Whether you live in the immediate area or anywhere else in the state of California, you can take advantage of our services today. We work hard to get you the compensation you deserve, so don’t go another second without letting us know what we can do for you. For more information give us a call at (866) 360-6886 or send an email to info@davidjfarrell.com.